Debra Coyman is a business executive pursuing her third chapter. 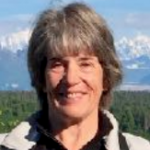 Debra enjoys a variety of outdoor activities, including hiking, cycling, skiing, kayaking and gardening for wildlife. She is nearing completion of the 4000-foot summits in New Hampshire’s White Mountains, and is working on biking the East Coast Greenway in one-week segments from Calais, ME to Key West, FL. Over the span of her career, Debra has led business development and strategic planning for companies in the biotechnology sector. In 1994, she joined the executive team at IDEXX Laboratories, a publicly-traded veterinary medical device manufacturer, where she held a variety of roles, including chief Human Resources executive. During her tenure, IDEXX grew its revenues and employee count by over 10 times. Debra earned an MBA from the Harvard School of Business Administration and a BA in history from Yale. She is certified in Conflict Management by the University of Southern Maine, and completed the Institute for Civic Leadership’s Leadership Intensive program. Debra has served as a trustee or advisor for community organizations, including the Gulf of Maine Research Institute; Portland Stage Company; the Appalachian Mountain Club; the University of Southern Maine; and Jobs for Maine’s Graduates. A resident of Falmouth, Maine, she has also held numerous leadership roles at her church, where she sings in the choir and rings handbells. Currently, Debra volunteers at the Homeless Animal Rescue Team and is raising a puppy for Guiding Eyes for the Blind.